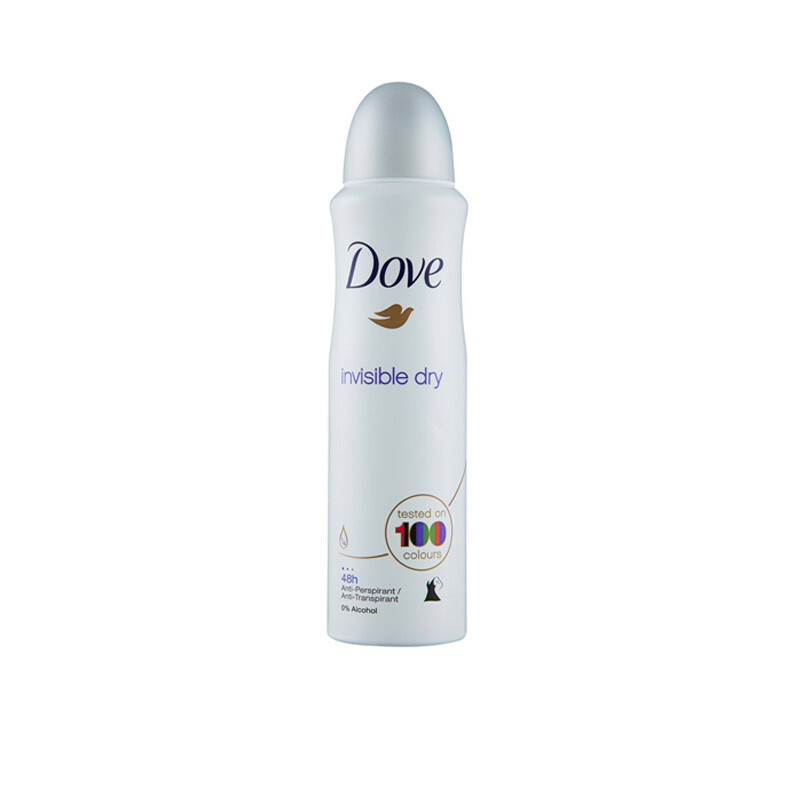 Tested to leave no white marks, Dove Invisible Dry Anti-Perspirant Deodorant teams underarm care with protection. Dove Invisible Dry is completely alcohol free, and is enriched with our ¼ moisturising cream that leaves skin soft and smooth. This Dove deodorant also brings reliable underarm care by helping skin to recover from irritation caused by shaving, caring for underarm skin.Proven to leave no white marks on 100 colours, your wardrobe just got a whole lot more colourful. it’ll also give you long-lasting protection against sweat and odour – so you won’t have to worry about wet patches either.